Llanfynydd recently held a “Welsh Evening” with Cefin Campbell giving a very informative talk on “The History of the Welsh Language”. We are grateful to Lynwen Davies for attending with the Simultaneous Translation service and also to the ladies that provided the Bara Brith. Welsh Cakes, tea and coffee. 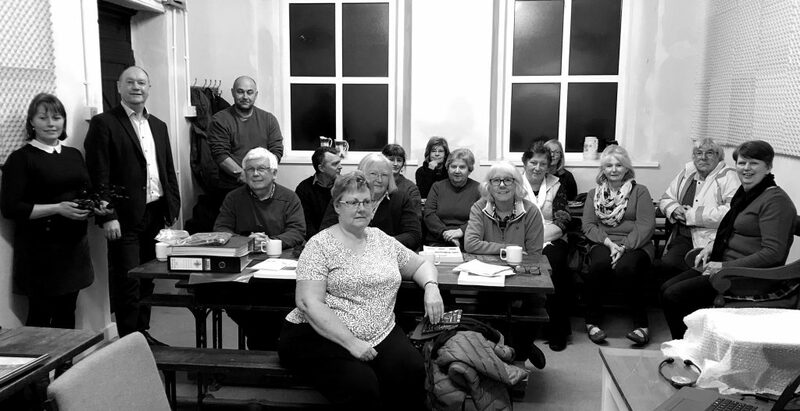 It was noted that several of the people present are attending Welsh classes and if anyone else is interested in joining a class, go to the website “dysgucymraeg.cymru am fwy o wybodaeth.